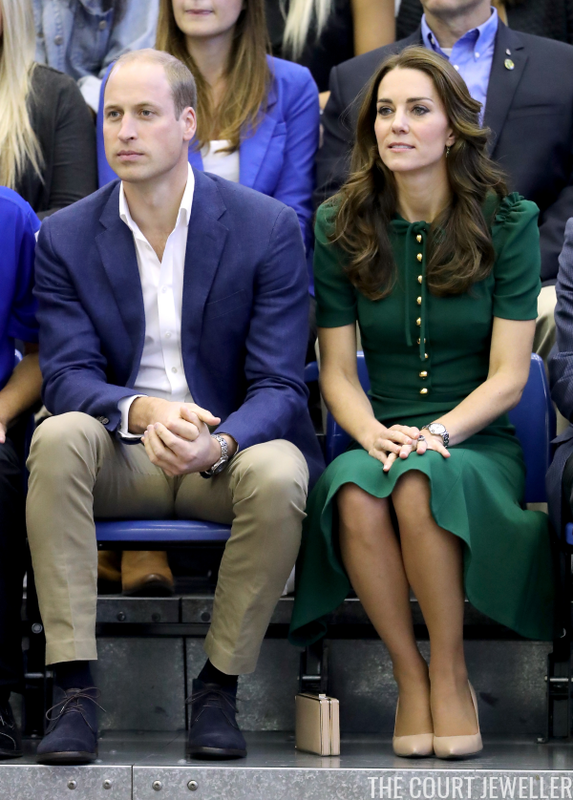 It's Day Four of the Duke and Duchess of Cambridge's tour of western Canada, and today's events bring them to Kelowna in British Columbia. 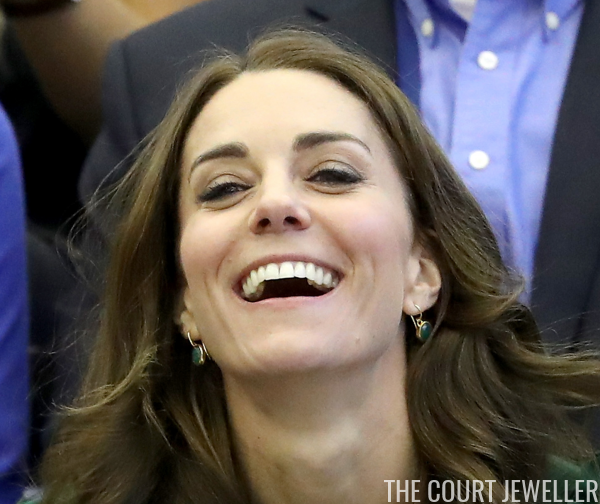 And we've got new jewels to see! 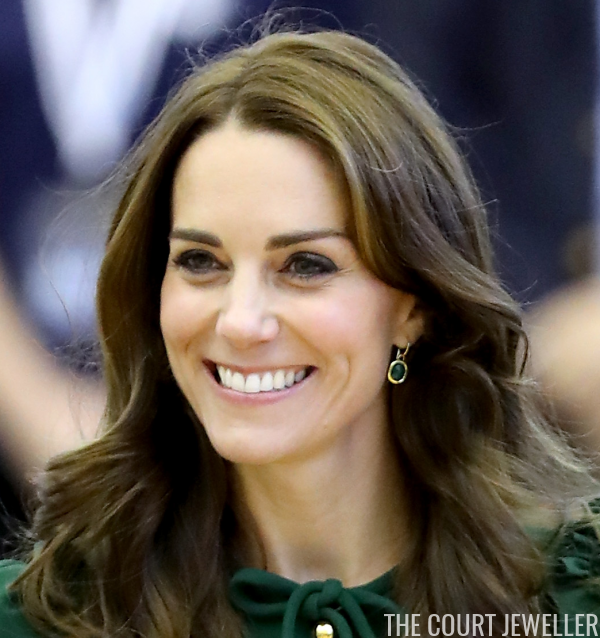 With her new bottle-green Dolce and Gabbana dress, Kate wore a new pair of earrings by Monica Vinader: the Siren Wire Earrings. Here's a closer look at the earrings, courtesy the Monica Vinader website. 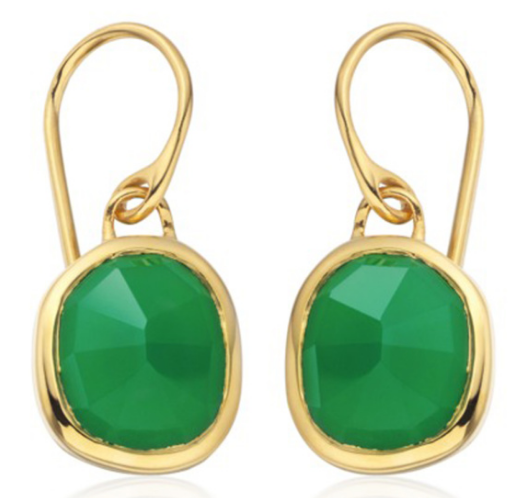 They're made of 18ct gold plated vermeil on sterling silver and set with faceted green onyx stones. This model retails for $195. The earrings are also available in two other finishes (sterling silver or 18ct rose gold plated vermeil on sterling silver) and two other gemstones (aquamarine or labradorite). 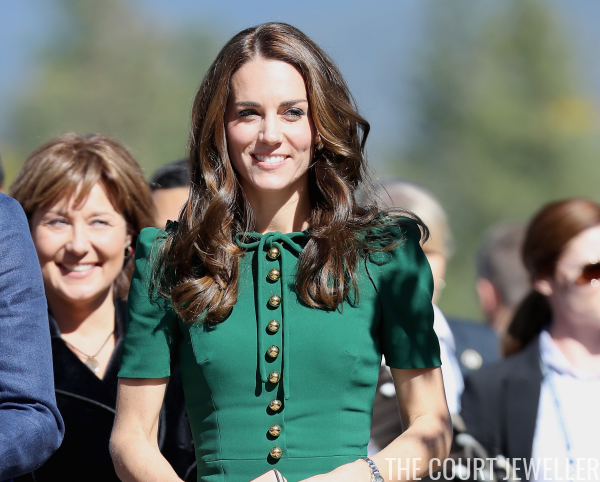 Kate's been wearing Monica Vinader pieces for years, most notably the Riva necklace and earring suite. Here's one of our earlier posts on that set. Her only other jewelry for the day seems to have been her Cartier watch and her normal wedding and engagement ring stack.